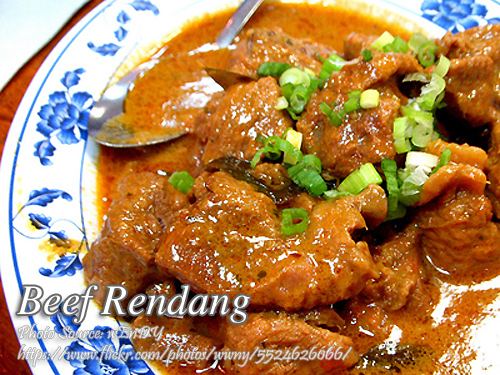 Beef rendang is an Indonesian spicy dish and no wonder the cooking is similar to our local dishes because Filipinos also have Indonesian ancestors. But this beef rendang dish has a more tedious way of preparing. You have to make a spice paste first by grinding it on the mortar and pestle and frying it before cooking the beef. Unlike most Filipino cuisines that we throw everything in the pot when cooking. There are also some ingredients that are only indigenous to Indonesia and some parts of Southeast Asia like the galangal, very similar to ginger root in texture and shape but has a more exotic taste. But is can be substituted with ginger. Now you don’t have to go to Indonesia to taste this dish, you can cook it right in your own kitchen. i like ur menu’s .